When developing modern software for the care sector we have to take into account and cater a number of factors, these include launching a solution that has flexibility and can be adapted for varying types of care as well as having the ability for progressive improvements and future changes required do not begin and end with the needs of the client and the regulatory bodies.Much thought and planning must also be given to the system architecture to enable improvements and advances in technology which will improve the customer experience, keeping the product ahead of the competition and at the cutting edge technologically. Nothing is cast in stone as at some point you will find yourself in a situation where you wish you had done something differently. Continuous adaptation is the key. 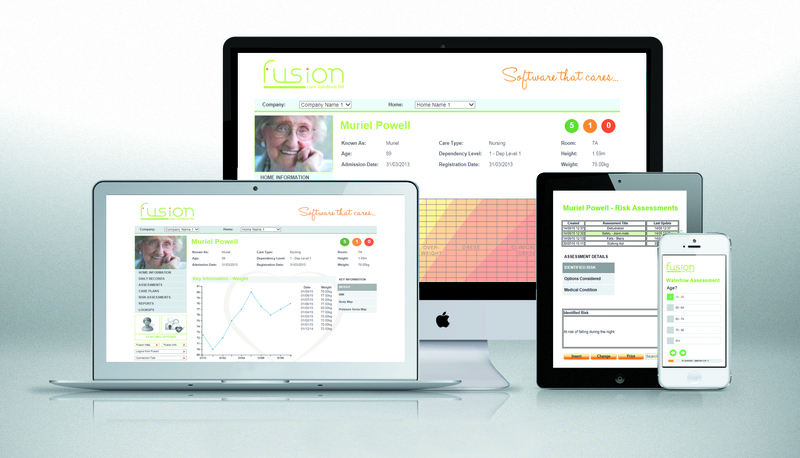 At Fusion we have developed our care management software for use in multiple types of care environment. Our current client’s services include but are not limited to Elderly Residential/Nursing/EMI, Respite, Learning Disability Service, Brain Injury Units and Domiciliary Care. At Fusion we work with our clients to set up our product in such a way that it is relevant to their care offerings and requirements. No two companies are the same so flexibility and team work are essential. Our Project Managers do exactly that, hand holding the client through the set up and training process whist giving them access to our unrivalled customer support and service. An example of how Fusion has developed adaptive and flexible products is our Care Plan (ecareplan). We have years of experience developing software products in the sector and have learned that no two care plans are the same. By designing a wizard based assessment tool we have given the care provider the power to set their own and/or adapt pre-loaded assessments to match their existing hand written items, this helps tremendously in the transition the carers and nurses have to make when migrating from paper to electronic care plans. Previous ArticleCan playing Tetris help prevent PTSD?